Neo Villa means, “new country house”. This rug collection is an eclectic collection of transitional designed rugs that are hand-knotted. There is an incorporation of old world classic designs with a new sense of contemporary style. Most of these rugs are made with a combination of wool and art silk or all art silk pile. Simplicity is the new sophistication. 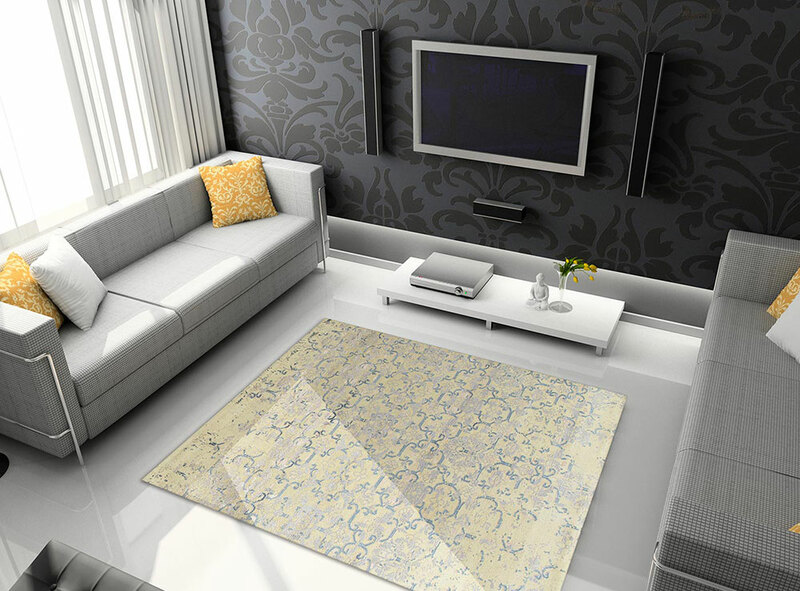 Contemporary rug designs, hand-knotted with a luxurious combination of the finest of wools and silk, to create a look and style that will work so well with today’s market. Jafri’s Bamboo Select Collection is art silk and man-made fibers that are hand-knotted together in this collection of contemporary rug designs in the Tibetan style. Luxurious texture and sophisticated simplicity are hallmarks of these sumptuous floor coverings. Jafri Collection of Moroccan inspired designs, from the Berber tribes that reside in the city of Taza, in northern Morocco. These rugs are hand-knotted in the same nomadic tradition. From Jafri’s Collection of traditional designs that is easy to decorate with and at a very affordable price. Hand-loomed from India with 100% man-made silk. The texture is plush and luxurious that will add opulence to any room. Jafri’s Collection of hand-knotted contemporary rugs with a classical geometric Tibetan style. Woven with a blend of the finest wools, often accented with art silk, which brings out a silky texture. Define a room with any of these rugs. From Jafri’s Vintage collection of traditional designs hand-knotted using the finest materials reinterpreted for today’s look and colors. All Rugs are offer in the following sizes: 6×9, 8×10, 9×12, 10×14, 12×15, and 12×18. Custom sizing available upon request. To view this exciting new collection visit our showroom at 116 Wolf Road, Albany NY or visit our website at: www.jafrirugs.com. 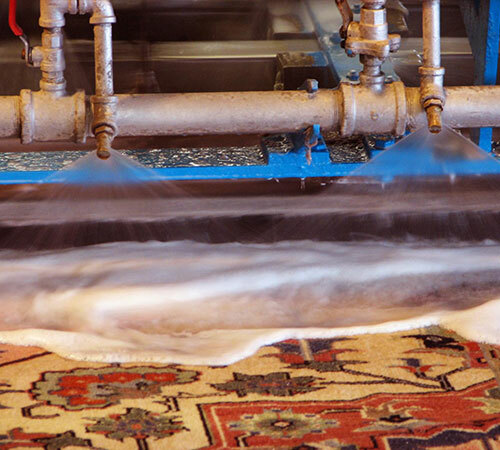 Jafri Oriental Rugs is the areas largest rug cleaning and restoration facility in Upstate NY! We clean and repair all types of rugs including; Hand-made, machine-made, contemporary, antique, Karastan, dhuries, braided, tufted, kilim, wool, silk and area. In addition, we make our services simple for our customers by offering FREE pickup and deliver of your rug. Our comprehensive rug repairs include; Color run, bleeding restoration, spot and stain removal, patching of holes, repair of tears and fraying, re-weaving, new fringes, new binding and repair of moth damage. We also provide new custom cut padding for your existing and newly purchased rug. With 35 years experience you can trust the experts to clean and repair your rug! Jafri Oriental Rugs serves the greater Capital Region including; Albany NY, Altamont, Averill Park, Ballston Lake, Ballston Spa, Berne, Bethlehem, Castleton, Chatham, Clarksville, Clifton Park, Cohoes, Colonie, Cropseyville, Delanson, Delmar, Duanesburg, East Chatham, East Greenbush, East Nassau, East Schodack, Feura Bush, Glenville, Glenmont, Guilderland, Kinderhook, Knox, Latham, Lebanon, Loudonville, Malta, Nassau, New Lebanon, Niskayuna, Niverville, North Chatham, Old Chatham, Poestenskill, Ravena, Rensselaer, Rensselaerville, Rotterdam, Saratoga Springs, Schenectady, Schodack Landing, Scotia, Selkirk, Slingerlands, Stephentown, Stuyvesant, Stuyvesant Falls, Troy, Valatie, Voorheesville, Watervliet, West Sand Lake, Westerlo, and Wynantskill. © 2018 Jafri Oriental Rugs. All Rights Reserved. | Site Design by American Marketing Co.